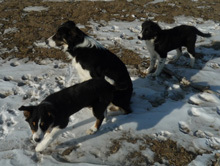 In addition to the temperament brought to us by our horses, border collies have been a necessity to fulfill our needs when working cattle and goats. 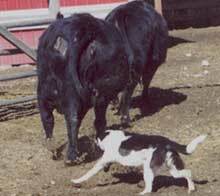 Border collies and horses have taught us the most effective and humane way to work cattle and goats. These dogs give their best drive when the handler is providing them with calm cues. This, in turn, keeps the pressure low on the stock, making them easier to move across pasture and send through the chute. 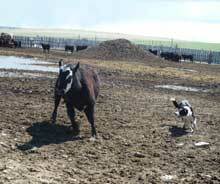 We believe in the importance of building a foundation with our border collies before letting them work on cattle. 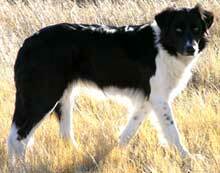 Prairie is a CPDT trainer and has opened a dog training business here in Choteau, Rocking K9 Companions. We believe in using positive reinforcement methods to create a foundation. 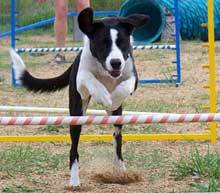 Our dogs have been used as 4-H projects and have recently been introduced to agility. 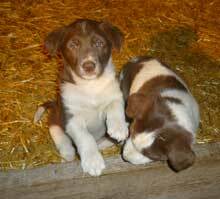 Our dogs have been Canine Good Citizen certified and have been exposed to all ages of people. 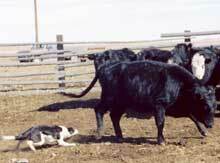 But as stated before, between man and the horse, dogs have completed the partnership we need for most effectively working cattle. New Puppies!!! 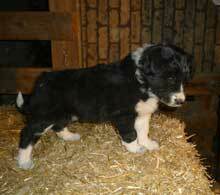 Born 9/27/2010. 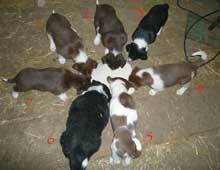 Litters contained Red, Black and Tri-Colors, Males and Females. 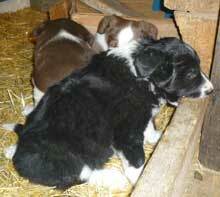 1 Red Male and 2 Black Males, 1 Tri-Color Male and 1 Black Female are still available. These pups have begun basic obedience training. 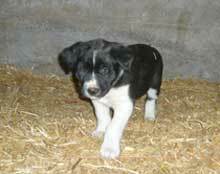 They have also been removed from the pack and gone on 1/2 to full day trips to other locations with us. 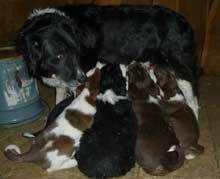 Please contact us with any questions and for more information on this or a next litter. 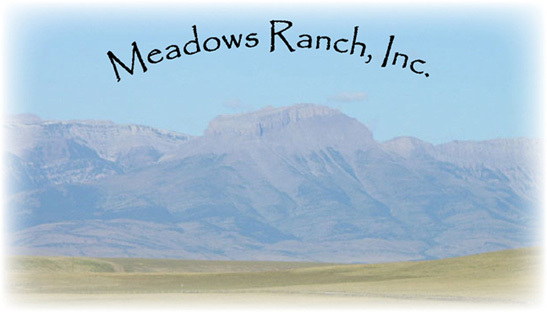 Comment from Governor Schweitzer on Meadows Ranch border collies.